It is the age old question: Does the uniform make the man, or does the man make the uniform? 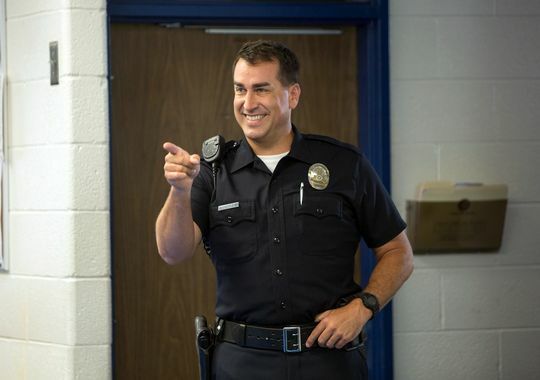 Both views can be seen in Let’s Be Cops. In it, Justin and Ryan (Damon Wayans Jr., Jake Johnson) are best friends and almost 30-ish roommates who are unsure of where their lives are going in the bright lights and big city of Los Angeles. One random day, the duo get invited to a “costume” party and with their options limited, decide to go as boys in blue. For one reason or another, everyone totally buys into them as cops. Trepidation on Justin’s part be dammed, the two ride with it and revel in their new roles, which brings an excitement that was previously lacking in their day-to-day routines. Of course, the innocuous fun can only last for so long until the guise becomes dangerous. It has taken me longer to view this and give thoughts on it, but MMJ keeps his eye on the streets movie blogosphere. The complaints have been read, from a lazy script to it simply not being funny. Going in with tempered expectations, I just wanted something average, and yet I got more. Comedy is truly more taste based than other genres, which segues perfectly into the next statement: Let’s Be Cops may just be my favorite comedy of the year so far. Buddy cop films, whether comedy, action, or a fusion of the two, have been around for seemingly forever. Most if not all follow the same template that everyone is familiar with, especially in story and main characters. LBC is really no different at its core and the wheel isn’t exactly reinvented. But one thing it does possess is an original premise that gives the usual tropes found in these films sort of a slightly different twist. People impersonating other figures has definitely been done, but civilians impersonating cops? If it has been done before in film, never to the length these two take it to. 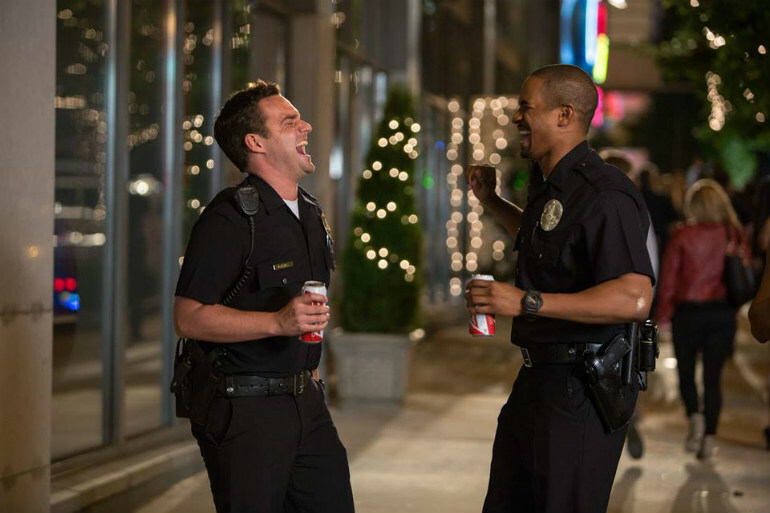 The biggest reason why this works so well is the chemistry stars Jake Johnson and Damon Wayans Jr. possess. Clearly, the time these two spend on the FOX TV show New Girl has paid dividends here. They may not be as well known as say those guys who set up shop on a certain well known street, but no matter. Both play off each other impeccably, made more impressive that reportedly 70% of the dialogue was improvised. It is a comedy that relies more on its dialogue and less on slapstick. There are some great lines, and there is a lot of future potential with the duo. Another movie (not a sequel) featuring the two would be welcomed in a heartbeat. It is also a nice touch to see Damon playing the relative straight guy of the two, while Jake is the lovable douche and idiot, which is a bit different from their characters they play on TV. Their comedy roles are dynamic enough though in that each gets the chance to be the dunce and the sane one when the situation calls for it. The idea that these guys commit so quickly to being cops (mainly Ryan) is disturbing…and utterly hilarious. Is it far-fetched that no one questions these guys? Sure, but realism shouldn’t be expected in most comedies. The fact that no one does so made the movie that much more of a riot in my opinion. There was hardly a dull moment in this. At 104 minutes, LBC moves at a steady clip but at the same time the first 10 minutes come off as slightly rushed. We know that the film wants to get into the meat as fast as possible, but the early writing in this is akin to putting something on a fast-moving conveyor belt to get it to the next station as fast as possible. Additionally, there aren’t necessarily gaps in storytelling but there are two or three times where the film more or less assumes things have been happening or already happened, so it isn’t always tight. There are some pleasant surprises in the directing, and while this won’t win any awards for cinematography, certain locales and shots techniques seize the mood in the respective scene. Even the soundtrack snaps wonderfully into the film, which wasn’t something expected. Many of the tracks are definitely making their way on my phone. 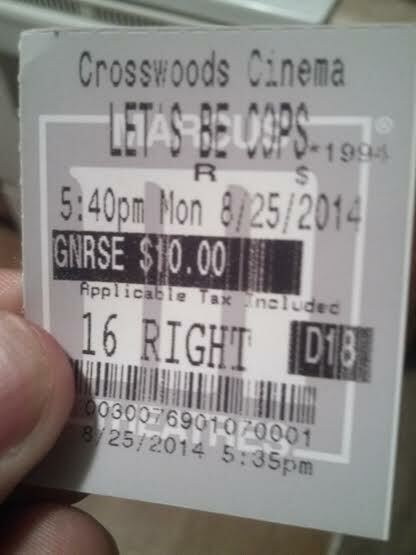 As crazy as it sounds, Let’s Be Cops is one of the better comedies of the year…subjectively speaking of course. Its absurdity can be picked apart, but on laughs supplied it does the job a comedy is supposed to do. More than enough for me, and I think I know what I want to be for Halloween. Photo credits go to filmhdwallpapers.com, usatoday.com, and flicksandbitscom. I’m still surprised at how much I enjoyed this. I hope you will enjoy as well! Hey I found 22 Jump Street and The Lego Movie to be strong comedies lol! I would put this in that category. Looks like I’m in the minority with my feelings on this film. Hope you’ll enjoy and thanks for the comment! Great review, glad you liked it! I am interested in seeing this it looks funny and I am a fan of both guys. Did you ever watch Happy Endings? Sadly I didn’t. I got to view a few eps one day. Heard it was one of the better TV comedies in recent memories. Sad it didn’t last. …maybe I might give it a chance after reading this! It’s pretty rotten on RT, but has an average mark of 6.8 on IMDB. Regardless I appear to be in the minority in not just liking this, but really loving this! I think it is worth a watch, but you know and it is a broken record at this point…comedy is subjective. Hope you find some good in it if you view though! …it will be THY CRITIC MAN VS MOVIE MAN JACKSON at next years WRESTLEMANIA?